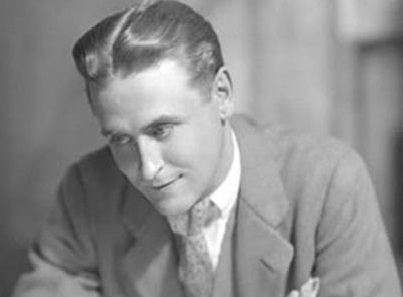 Goodly: Did You Know F. Scott Fitzgerald was Once a Copywriter? Did You Know F. Scott Fitzgerald was Once a Copywriter? The year was 1918. The Great War had ended. And 22-year-old F. Scott Fitzgerald wanted nothing more than to marry the belle of Montgomery, Alabama, Zelda Sayre. But, as Sayre made clear, there'd be no union until he could support them. So the Princeton-educated Fitzgerald moved to New York, to try out journalism. The venture came to little. At a friend's urging, Fitzgerald took a $35-per-week job as a copywriter at the ad agency Barron Collier. Things began to look up. Fitzgerald received a $5-per-week raise, when he wrote a client-pleasing slogan for the Muscatine, Iowa-based Muscatine Steam Laundry Company, "We keep you clean in Muscatine." "'It's perhaps a bit imaginative," the agency head told him. "But still it's plain that there's a future for you in this business." But copywriting didn't earn Fitzgerald enough to satisfy Sayre. He quit the job and moved back into his parents' home in St. Paul, Minnesota. Two more years and the appearance of his first best-seller would pass before the couple wed.